"Fr. 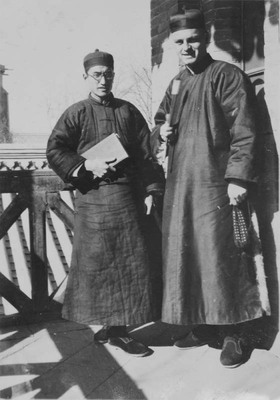 Paul Gilson and his Chinese language professor"
Fr. Paul Gilson and his Chinese language professor. Fr. Paul Gilson and his Chinese language professor. 1931/1932. Société des Auxiliaires des Missions (SAM) China Photograph Collection, Whitworth University Library, Spokane.